Programs in this area enable youth to develop their creativity and cultural awareness through knowledge and appreciation of visual arts, crafts, performing arts and creative writing. This year-round program encourages artistic expressing among Club members through drawing, painting, printmaking, collage, mixed media and sculpture displayed at local and regional exhibits. A panel of distinguished judges selects works for inclusion in the National Fine Arts Exhibit, which is displayed throughout the ensuing year at BGCA events, including the national Conference. Each winning artist’s work is featured in a virtual gallery on BGCA’s website. This year-round program encourages Club members to learn and practice black and white, color, digital and alternative process photography. Club members’ photographs are displayed at local and regional exhibits. Club members’ photographs selected at the contest’s national level are exhibited at the BGCA National Conference and at other events and venues. Winners in the portfolio category receive college scholarships. Each winning artist’s work is featured in a virtual gallery on the ImageMakers website. Club Tech’s suite of self-directed arts courseware consists of Web Tech, Design Tech, Photo Tech and music Tech. Movie Tech contains detailed instructor materials for teaching members to write screenplays and facilitating the hands-on process of filming and editing digital movies. After members have participated in these programs, they can submit their digital artwork to the annual Digital Arts Festivals competitions. The festivals celebrate Club members’ creativity in five areas – web design, graphic design, photo illustration, music composition and movie making – and provide Club members with recognition at the local, regional and national levels. TNT DramaMatters Afterschool is an open-ended program which offers a rich collection of structured activities that is easily adaptable by the staff person responsible for the program. The goal of the program is to get as many Club members as possible involved in performing and having fun with drama. TNT DramaMatters Afterschool activities are arranged into three skill levels: beginner, intermediate and advanced. 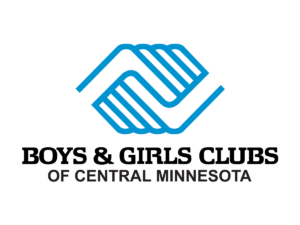 The program is designed to accommodate boys and girls ages 5-18. At every level, members practice the fundamentals of drama while learning how to work together and how to express themselves. The curriculum is customizable so that the staff can choose activities and games rather than a final performance to keep things fun and approachable for members while teaching them the principles of theatre and drama. A number of public domain scripts, monologues, dialogues and plays are also included in the facilitator’s guide. Drama Matters and Fine Arts activities are made possible, in part, by the voters of Minnesota through grants from the Minnesota State Arts Board and Central Minnesota Arts Board, thanks to a legislative appropriation from the arts and cultural heritage fund.